This seems to me to be making an important point about the way we respond to nature. It is interpreted to us in programmes on television showing creatures most viewers will never encounter, not just in faraway places but in our own lands. 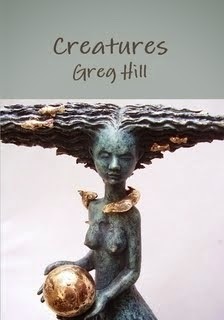 In many ways our lives are not their lives and it is inevitable that we objectify them. This in turn can lead to sentimentality and a concern for them based on a lack of understanding about what it is like to live as part of nature. To many in cities the whole of nature is a sort of art installation. And often those who do still live close to it are regarded as barbaric and intrusive, like vandals trying to sabotage the art. This is understandable and we are all prone to it wherever we live as urban values characterise the life styles of most modern humans, even those who do not live in towns or cities. So it might seem that we have no choice but to see nature as other. Perhaps this is true. 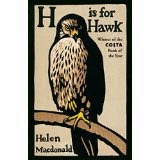 Helen Macdonald’s relationship with her hawk might be little more than a gesture towards contact with wildness. But if so, as she observes, the world is diminished; and so are we. One thing that might be said here is that for a human to get to know an animal really intimately some extent of taming is involved. We know 'pets' and domestic animals far better than wild animals because they're kept near to us, whether in houses on farms etc. and our lives become integrated. We can't get to know wild animals as they are wild, away. We can only be observors. And the price of getting to know them is tampering with that wildness!. An example where this does not happen is Baker's 'The Peregrine'. That's awesome.